The milonga allows me to live 1001 lives, better than just telling 1001 stories as the Persian queen, Scheherazade, did to save her life from execution. A single dance took me back through the centuries, and lives I have never lived. Last night at the milonga. A single dance brought me there. I remembered things I had forgotten, some of my many lives. Just last century, when I first arrived in Germany I lived in Stuttgart. It was 1991 to be exact, late September. I was alone in my apartment after going for a walk at night. It was Sankt Martins Tag (St. Martin's Day). Next to the small lake and pristine park, the Max-Eyth-See, children were with their parents at night, walking and singing with lanterns made from paper bags with candles in them. Later that night in my apartment, I sat down to listen to Südwestrundfunk, German public radio. The radio program's diversity boggled my mind. One song was a Miles Davis jazz walz, the next Janis Joplin's Bobby McGee. Then came a driving but simple rhythm to an Italian hit. "Robert," a German song I have never heard again, was next on the program. I remember that song because I learned to hear and roll the German rolled 'R' from it. Rrrrrobert, was a bad boy, evidently. The radio program continued with a a story, read from a book, something one rarely hears in the US. I imagined myself a small child with my siblings listening to a story told by our grandfather. I couldn't understand much at the time, but I listened and loved his deep voice and imagined watching my older siblings' enthralled faces. This was not the German I was expecting. It was beautiful, sonorous, expressive. I was committed to being fluent in this beautiful language, now the language of my children. After the story, the music continued. A song from "Turkei" (Turkey) came on. At first I did not like it, but then I imagined that I had heard this song many times. I was in love when I first heard it, in fact. How the memories poured in from this life-I-have-never-lived. The song brought back sorrow and joy, being young and in love. How I fell in love with this "Musik" when I put it in a "beginners mind" frame like that. I got up and danced around my apartment to the Middle-Eastern rhythms. Six years later, I realized that my private dance alone in my German apartment on Burgholzhof, was not so far from how it truly is danced by male dancers. By then it was late in the last century, and I was in Egypt watching a live band play with dancers. I was enthralled. Hypnotized. All these experiences came up last night when I danced with a Turkish woman at a milonga. The music that started to play after the official conclusion of the milonga was "alternative" music. Suddenly my body was taken over by a song from Turkey. I immediately sensed it was Turkish. I saw my partner's face light up. Then I knew it was Turkish. The Middle Eastern rhythm put me in a trance and I dance with a hybrid of Argentine tango movements, but she and I were there, in her country, among her people, dancing as if we were the only people who had been transported through time and space. Our dance was not a slow-slow-quick-quick dance but a complex rhythm that the ancients developed because of no television or ready-made entertainment that dulls our ability to let our bodies be possessed by the poly-rhythms of music. I did not have to think or analyze being possessed by the ancient spirits! Surely, it helps to have studied music, but only afterwards could I think of what the rhythms were and how they transformed my mind and body. As my Mesopotamian Tangera and I danced, I could imagine the tribal peoples of her ancestors telling each other stories, improvising their own stories as musicians improvised music to fit the ambiance of the story. I was dancing with her in the desert around a fire after coming home under the stars. Last night we could see the stars that were so clear they appeared like clouds and embodied permanent cloud-like features that looked like scorpions and rams and lions*. You may find it hard to believe, but last night at the milonga, she and I were there in the Desert. She was my first and only love. When the music stopped, she told me what the words meant in Turkish. The woman singer had sung her heartache from the many whom she had loved, how they had gone, how it hurt. And so it was with us. The tanda was over and we parted. But not in my mind, my heart, my soul. The Musik still plays. Tango allows me to live one thousand and one loves, a thousand and one lives, one thousand and one Arabian Nights** -- all at the milonga. *Clouds of Stars: Under the desert sky in 1997, with an 101st Airborne Infantry Division on a peace-keeping mission, I saw clouds of stars for the first time in my life. On the top of the Sierra Nevada Mountains in Nevada, I had seen stars so clearly that even the satellites whizzed clearly across the sky. But in the Sinai, I could see clouds of stars and constellations I had never seen before in North America. Added to this momentous experience, one night I was issued some "NVG's" -- military-grade Night Vision Goggles. THEN I could see 10 times the amount of starts. It was startling. That is what the ancients could see without layers of world-wide pollution. I am still in awe of these moments in the dessert, in the shadow of Mount Sinai. **1001 Arabian Nights' frame story is of a woman storyteller from Persia. The stories have been traced back to stories far from Persia and Arabia, including Mesopotamia, which in part includes modern Turkey. I danced with the archetypal Mesopotamian Woman last night. For a moment. Just a moment. I thought I should buy a Polo after seeing their car commercial distributed by VW in the UK. What would a car commercial look like if it were made for me and my taste for tango? It would be all about the connection I had to her leather, her handling in giros, ability to parada on a dime, windshield wipers that were the perfect boleos. With the electric key in my pocket, just a nod of the head would open her doors. In heavy traffic I would be glad to turn the surround-sound up and just be in her presence -- no texting, looking at who is looking -- just being there with her, the only car in the world. But maybe I'll buy a VW Polo for my son. It was a battle just to come to the milonga, to even get out the door. It was trench warfare to learn how to dance well. It was hand to hand combat to learn how to avoid rejection or to attract good dancers at your level. You have the purple heart from the shrapnel from stilettos ripping into your flesh from the friendly-fire boleo of a friend who did not see you. Or you may have trusted a leader who turned out to be a suicide bomber, who used you as a weapon of mass destruction. 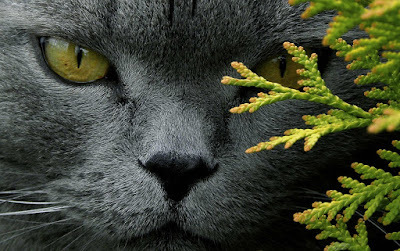 The truth is that life is a war, and no one survives. But we can be honorable warriors, loyal to our family and values, courageous in our community, fighting social injustice. In everything we do we can be warriors rather than fighters. And tango is no different. I am working at this. A fighter has no stragegy of his or her own. However, a warrior embodies both a strategy and tactical skill. Both are important. Learning to be a warrior allows you to survive and thrive in tango for a lifetime rather than the very low average in the US. I would wager that few tangueros/tangueras make it past five years who do not learn to balance the tactical with the personal strategic skills of a warrior. Chances are that if you came home from some severe milonga-battlefield conditions that you won't have PTSD (Post-Tango Sulking Disorder) if you have been a warrior and not just a fighter. Just as near. Just as far. But recognize it better when you are far. But awaken to its meaning when you leave. Yet its loss is my highest fear. Love is trite and shallow, some might say. Are not all profound things treated this way? Yet love has visited in tandas, chapters in my life. Intimate, deep, tender and caring love chapter? Only in dance have I understood this as success. Is it a failure to be fully with the one in your arms? Will you come explore and search for love? It starts nearest to you, your own heart. 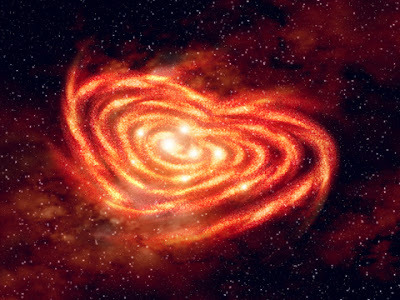 Among stars and galaxies in your universe of love. Then we'll have infinite space to dance. Abstract: This post is on what tangueras-who-lead teach men about their role to protect a women, and why men are not obsolete. Also, a description of the psychological profile of females who venture into the Rol Masculino de Tango. A list of sociological research questions are suggested at this article's conclusion. One's partner's soul (fully present, not watching who came in, how you look in the mirror as you dance, or observing who was watching that last great show-move you made). Gentlemen, my last post was how men learn from men and about other men through women. This post is about knowing more about ourselves and what it truly means to be aware of our masculinity by what is missing when we watch women in dance in the rol masculino. I have no answers of why women can dance so well in the masculine role but generally seem to have poor floorcraft. From the definition above I am mostly talking about issues lady leads have with unsafe maneuvers and talking while dancing. I will stay silent on the second "issue." Being a great dancer is not gender specific. However, I wonder if the protecting one's partner is more gender specific. Men generally have the protective persona down. It is perhaps one of the best qualities of a generally problematic characteristic called "machismo." My underlying thesis here has little to with women, but rather, that male rogue dancers are ultimately not masculine. Nicely said, rogue male dancers have abdicated their masculine role. Women who lead are often the best dancers in the community. So one would expect great floorcraft. Of course, there are exceptions (see "honorable mention" below), but these ladies are rare in my admittedly limited four-year experience of female leaders dancing near me. I realize that this is not a politically correct observation, and that maybe I will have a lot of criticism about this post. So let me say this ahead of time: You are right. It was stupid of me to even say anything about this subject. What was I thinking when I wrote this! For anyone who is looking for a doctoral thesis in sociology, let me suggest an interesting study on male/female roles as seen in tango. What I observe is counter-intuitive: I would expect the opposite of what I often observe from women. I would think that ladies really understand how vulnerable women are on the dance floor. Experienced tangueras all have been hurt or have seen seriously painful accidents by the time they decide to lead. Poor male "leaders" are rampant in the world. We have a name for these men which I will censor from my post. However, the rule is that cabelleros are taking care of all those dancing in the rol femenino on the dance floor. There are a few caballeras [an actual Spanish word], as I am defining them here, out on the dance floor. A true Caballero/a (gentleman or gentlewoman) is one acting the part of a gentleman tanguero, dancing responsibly and socially. 1. Alpha females: Mostly the best tangueras become leaders. But predating their tango days, they probably were alpha females. As alpha females they take initiative -- instead of just sitting it out. Often they are teachers. 2. Got-to-Dance Persona: If I were a woman, I would not be perhaps an alpha female, but I would be dancing either by myself or with anyone around if a man did not ask me to dance. 3. Iconoclast Personality: The lady leader motto generally is to "...dance as if no one is watching." I value this quality of thought! A Lady Leader has to be her own person. I am one who has done many things, such as learning how to unicycle or street hockey with my children in spite of what my neighbors thought about "adult behavior." However, there is a dark side to "not caring." It can go too far to the side of being "anti-social." And that is what seems to be happening with many Lady Leaders. Note: I have heard Alpha Females expound that men (and some women) may be jealous or have issues about two women dancing/touching. I do not think that most men are worried about these issues. 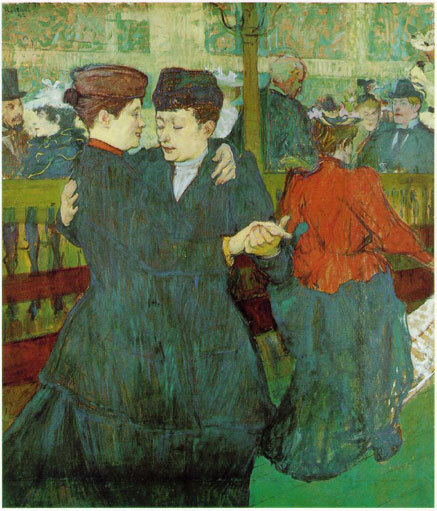 I can at least speak for myself here: I am not jealous of women dancing better than I. However, I am disgusted with anyone who puts MY lady into danger and causes chaos on the dance floor. The best example of a true "caballera" in the DC area is a female teacher from Baltimore. I love dancing with her when she changes to heels or next to her when she is in the rol masculino. However, the greatest female "leader," I ever have seen has been at two tango festivals I have attended. She is a marvelous milonguera traditionalist. The women love to dance with her. I am in awe of how fully she dances the rol masculino. She tends to dance in the second lane and I dance nearly always in the outside lane; so I don't dance behind or in front of her, but I notice her wonderful floorcraft. Interestingly, I have never seen her dance in the female role. More recently I have observed several woman who lead. In most cases they talked the whole time. Many female leaders are teachers. Teachers, especially female teachers in the masculine role, tend to be fairly adept at "skating." (Skating is my term for any dancer who weaves in and out of other dancers on a crowded dance floor. I would like to have everyone stop and put on protective gear when skaters are on the dance floor, as I did for myself and children on ice rinks in Germany.) Women skaters tend to be more adept than male skaters, but they are still a danger on the social dance floor. Is the issue, then, not women but that they are teachers? I don't think so; however, it could be. Male teachers are rogue dancers too, perhaps because they feel they must advertise their abilities. They take up way too much room and seem to think that everyone is giving space to them out of respect. No, it is not respect, it is our job to protect our partners from anti-social rogue dancers. (Strong language? "Anti-social" as I use the word here is causing danger in a social context.") Although I know of ONE MAN who dances with his eyes closed, I have seen leading ladies do this more than once. Frightening! I should mention a Lady Leader whom I know only from my tango blog. She is from northern Europe. She was one of the only females that spoke up in agreement with my complaint of men-bashing on a blog from Germany that blamed and criticized men at every level, including being generally less than everything tangueras are. (See below link.) Interestingly, in an email to me, this leading lady confirmed that she went through a phase of blitzing around the dance floor at first, but has learned to dance in her own space. Hats off to her! I think it would be an interesting sociological research question about role reversals, as demonstrated on the dance floor at a milonga. 1. Is it really true that woman are "skaters" -- or is this just anecdotal observation from one man's experience? Videos of women leaders could document the differences of men and women in the masculine role. Would this show one way or another if indeed ladies tend to be "skaters"? My guess: Absolutely true, as experienced from female dancers from at least seven countries (including Argentina) and four continents. a. The Show-Off Teacher Marketing Phenomenon (male/female teachers being equal)? b. The Alpha-Female (assertive woman) Phenomenon? c. The Iconoclast Personality Phenomenon. It's great to be an iconoclast, but not when it comes to putting others in physical danger. d. The Free-at-Last Phenomenon -- women finally free to express the music in a more direct way, now just are going wild, at least at first? e. The Male Culture/Genetic Wiring Hypothesis: Are women less culturally aware of the man's role to protect? They have learned a dancing role, but have less experience of what culture expects of a man in protecting a woman? f. Or perhaps is it merely the figment in the imagination of the Tango Therapist? I think that "e" (above) is the most likely explanation of role behavior problems, and also the easiest fix. And now I am going to indulge in some finger-pointing and blaming: The tango community has few teachers who talk directly about floorcraft. The Tangosutra Festival was the biggest exception to this general problem. Teaching women leaders about the epicenter of their role as a leader is generally missing. And guess what? It is missing too often for men any any tango curriculum. The difference (so my hypothesis goes), is that men have learned this protective role from years of cultural training and perhaps even a tad of genetic wiring that it is a man's role to protect the woman. I expect that my limited experience on this subject will be irksome to some tangueras and tangueros. * I welcome comments. In the end, perhaps the issues of being a cabellero and what it REALLY means to be a man will make MEN better at what I see as their primary role -- to protect their partner. *An example of the poor view of men that some tangueras have follows. Please read the link below from a female teacher (who by the way is a great teacher and dancer). My synopsis of her opinion and many female commenters: tangueros are generally awkward dolts. To me it is scary how many female commenters liked what had been said here. If we changed around the genders and a man wrote this, it would have been clearly "misogynous" and outrageous to men and women alike. Because of a gender imbalance, men have fewer chances to learn both roles. It wasn't that way in early Argentina when women were very rare indeed. Men learning to dance with other men was common. Gender imbalance has its advantages and disadvantages for those forced to sit too much. I, for one, get exhausted with all the demand for my role. I have too many friends and favorite dancers who are sitting too much, and then if I go to a practica, the same issue follows me there! If Tiger Woods were a world class tango dancer, would you take lessons from him or from his world class coach? I would prefer his coach. But for some reason, I think that people naturally want the master doer over the master teacher. A comment by a well known tango teacher recently astounded me: "Those who can, do. Those who can't, teach." Ouch! His point was that teachers are best at teaching what they are not good at. Also, a problem here in logic? What a terrible "truism" that too many people believe! This phrase is an assault on excellent teachers all over the world. I like this T-shirt below: "Those who can, do. 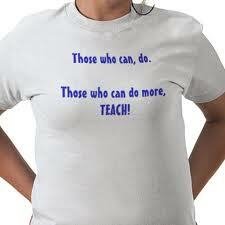 Those who can do more, teach!" But let's say just for fun that there is some validity to this idea (that those who can't, teach). Well, then! Let's go out and find the teachers out there who cannot dance that well, but they will teach us a lot. The majority of us go out teacher shopping, looking for great dancers. But where are the great teachers hiding? Surely they are out there. Are you taking lessons from them? As for me, I want a teacher who can teach and has results over the teacher who can perform, but cannot impart how to emulate what they do. Teaching is a calling, and many who are good teachers, are also experts in their fields of endeavor. Yet, having both of these qualities is still rather rare. I would rather have someone who painstakingly acquired tango than one who is naturally talented but cannot see how difficult it is for the average person. The problem with poor teachers in language schools demonstrates this problem with the misguided attraction that school directors and students alike have for those who can (speak fluently) but cannot teach. Just because you can speak Italian from birth, does not prove that you can teach it. Those who have struggled to learn a language as an adult and are fluent know what it takes to acquire a language, but language learners look for the native speaker. Language students gladly sit in classes, enduring hours of poor instruction just because the person is a native speaker. So is it in tango: We tend to look for the great dancer and look the other way when they do not have the best results in imparting what they know. That's a good New Year's resolution: Find a tango coach who can do more -- someone who can teach. It was an upgrade to go from Frankfurt am Main, Germany to Buenos Aires and then home to Washington D.C. At first I felt it would be absurd to go so far out of my way. One evening in Buenos Aires? Seemed too far to go for just one evening. But I bought the upgrade anyway. It was a good price. The man looked over his glasses as if I were mad to be paying for the ticket. He wouldn't understand. He had never experienced tango. He gave me my change, and I said "danke schön." He looked again and shook his head in disbelief. Buenos Aires was hot. I went from a cold winter to summer in a snap. It was a shock but not as much as the shock from culture. Buenos Aires was busier than cities in the US at night. People were out. The faces were different, the clothes more formal. The dialect of Spanish had my brain working to squeeze out some understanding of the syllables that bounced around in my cerebral word-recognition engine. I longed to quickly find a milonga, where I could communicate it the language of a walking embrace, a moving expression of the music both my partner and I loved. During the short transport, I was given a booklet "Milonga Etiquette" to read and sign. The night went by quickly and with absolute delight. Each of the things I had signed ended up being very important. The ambiance remains strongly in my mind: The smiling faces, the women who melted into my arms and made me glad that I was a man, the closeness of the dancers all keeping their own little space, the new movements I had discovered with the guidance of the music and my partners unique way of moving. Precious moments in Buenos Aires. It was very much worth the the upgrade from Germany. When I awoke this morning in Washington D.C., I wished my dream had never ended. Maybe another "upgrade" tonight? Will you join me? I will help you fill out the paperwork. I am accustomed to going to Buenos Aires for a night. That is what a milonga is.